Welcome to Bayside – a beautiful waterfront community that offers the best of Florida living in unparalleled Taylor Morrison style! Located directly on Little Sarasota Bay, Bayside provides residents a rare opportunity for new-home construction in a highly sought-after Osprey location that is close to famed Siesta Key Beach and the cultural delights of downtown Sarasota. Limited to just a proposed 49 home sites, this community is certain to attract the attention of those who love an active outdoors lifestyle. 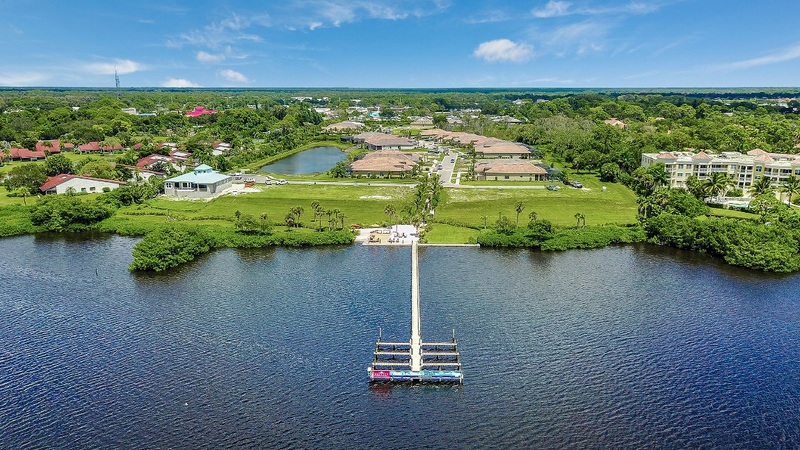 Bayside is gated and well landscaped, graced by a three-acre preserve and peaceful lake to further enhance the natural beauty of the neighborhood. Future residents will enjoy a kayak and paddle board launch, waterfront boardwalk, fire pit and a private dock. Little Sarasota Bay is home to many species of fish and wildlife, including manatees, and provides exceptional opportunities for boating and fishing. Taylor Morrison will offer a selection of its most popular floor plans in Bayside, all featuring open concept great room plans with flexible options and thoughtful designer touches throughout. Bayside is a maintenance-free community, which frees residents from the chores of yard work and leaves them more time to enjoy leisure-time activities. The location of Bayside is particularly ideal, combining beautiful preserve and water views with close proximity to desirable area attractions. Casey Key Beach is only three miles away, and the popular Legacy Trail is just one mile further. Highly rated medical facilities, major airports, and ample shopping and dining options are within easy driving distance. 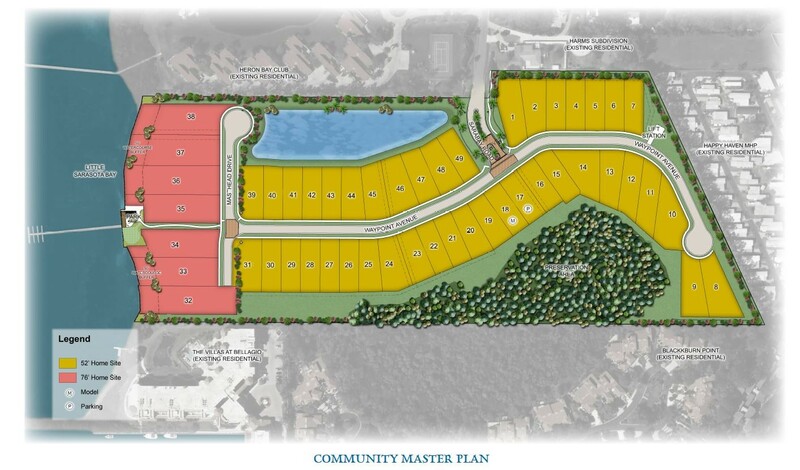 PLEASE NOTE: Bayside is a new community. Many GPS devices including Google Maps have not updated their roads. From the North – I-75 south to Clark Rd. head West on Clark Rd. turn Left on McIntosh Rd (7-11 on corner). Head South on McIntosh approx. 3 miles. Turn left on S. Tamiami Trail (US 41) go past Bay Acres Ave. and make your very next Right on Bay Ave and immediate left onto Sarabay Rd. this will dead end into the community. From the South: I 75 to Laurel Rd. head West on Laurel Rd, turn Right onto Tamiami Trail heading North. U-Turn at Bay Acres Ave. make first Right on Bay Ave, immediate left onto Sarabay Rd. this will dead end into the community. 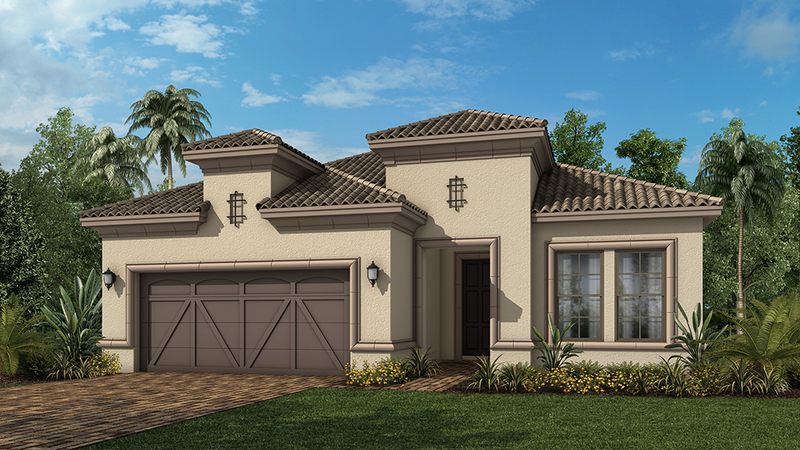 The Lazio is one of Taylor Morrison’s most popular floor plans. This 2,275 sq. ft. single family home includes 3 bedrooms, 3 full baths, a den and two-car garage. The foyer leads into a dining room and spacious great room. The designer kitchen, with a counter top bar-style island, has sliding door opening to a spacious lanai. The Master Suite includes dual sinks, large shower, water closet and large walk-in closet. Plenty of flexible space options and upgrades available. UNDER CONSTRUCTION – This award winning home features an open floor plan perfect for entertaining! In a beautiful waterfront community of Bayside. This 3 bedroom, 3 bath, Den home features Florida Living at its best on a pond. 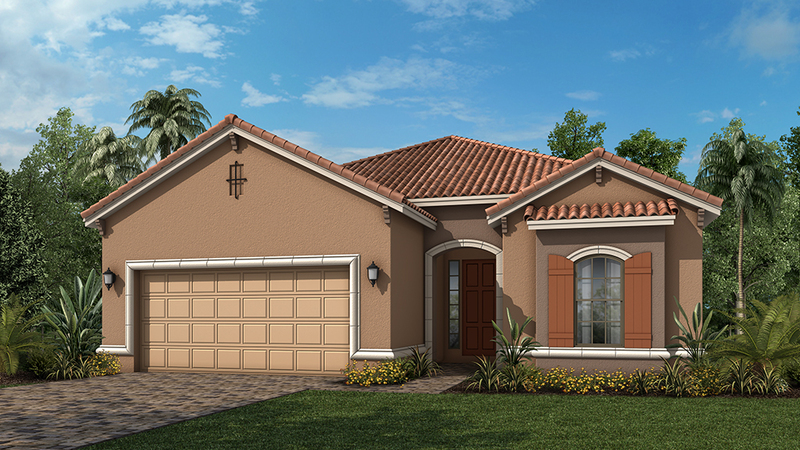 A tiled foyer greets you upon entering and leads you into the open dining and family room. The Gourmet kitchen with large Granite center island with stainless steel Gas appliances have been upgraded to include a double wall oven sure to delight any Chef is open to the family room and provides ample counter space and cabinets for storage. Dining room with Columns to give you the best dining experience. The master suite with Bay Windows, tucked off the family room, has a large walk-in closet and over-sized shower. The secondary bedrooms have direct access to full baths and great closet space for storage. Private Den with pocket doors. Large Covered under roof Outdoor space to enjoy inside out and outside in. Plenty of room for your private pool and spa with the rough in for a spacious Summer Kitchen for entertaining. Garage is a Tandem to allow for up to three cars or that extra space you need for storage. Maintenance-free community. Enjoy the sunsets, watching the boats go by, fishing on the Boardwalk or take the Kayak out and discover the mangroves on Little Sarasota Bay. Builder Warranty! 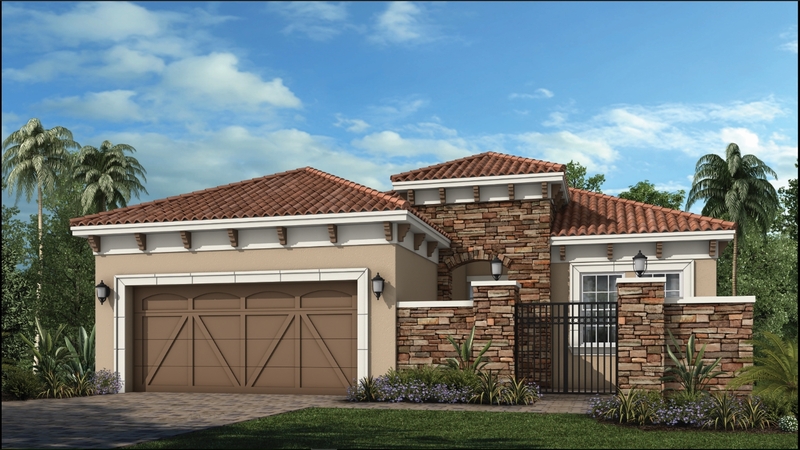 This exciting new home features a joint dining and family room for those who love entertaining. The kitchen has ample counter and cabinet space and two entry ways. The master suite has his-and-hers walk-in closets attached to the master bath. The den adds space for an office or hobby room. Options include a bay window for the master suite and a gourmet kitchen. The Farnese is a 2,100 sq. ft. single-family home filled with flexible space options. The foyer leads to separate den and dining rooms which may be open or closed with optional double doors. The great room is adjacent to a designer kitchen with its own breakfast nook and spacious counter top island. The Master Suite includes a bay window, dual sinks, corner shower, water closet and walk-in closet. 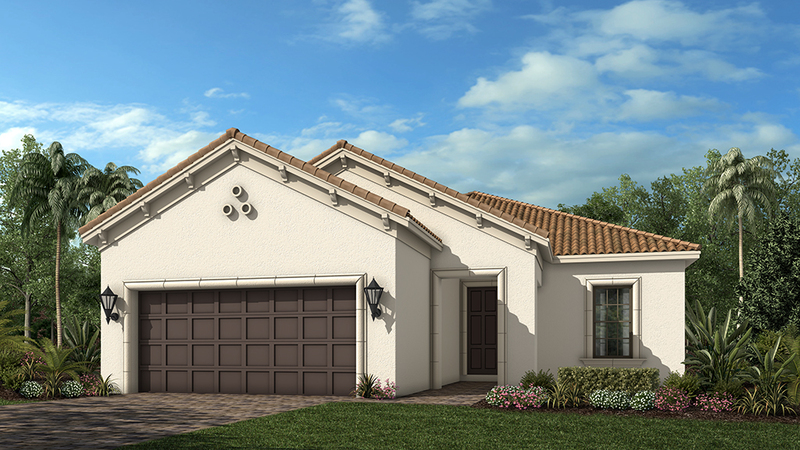 Additional space options includes an expanded covered lanai and additional garage area. 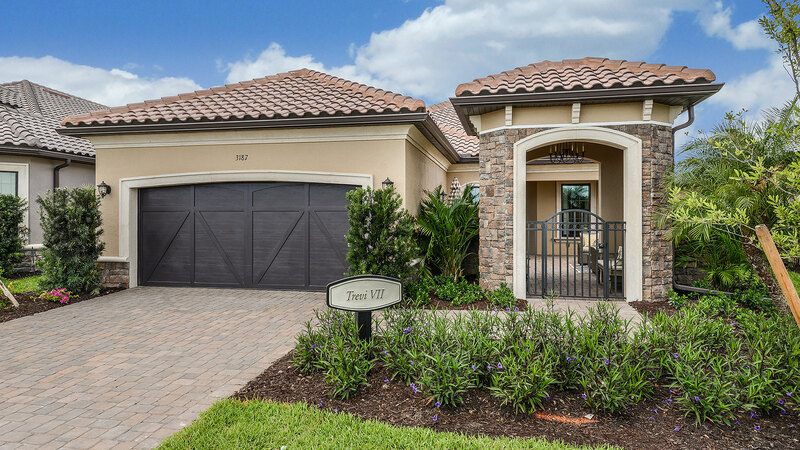 The Trevi is a 2,740 sq. 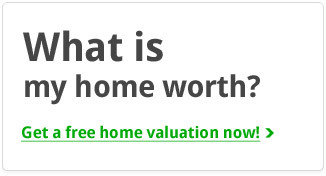 ft. two-story home with two bedrooms, three baths, a powder room, den and bonus room. Flexible space options for this home include a third and fourth bedroom with additional bath. The Master Suite includes dual sinks and large walk-in closet, and a picturesque bay window can be added. Additional options include a breakfast nook off of the designer kitchen and expanded outdoor lanai space. 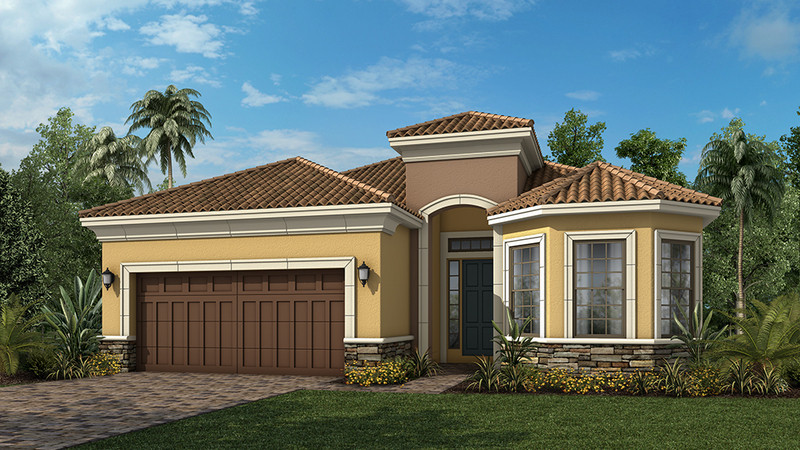 A foyer, great room and courtyard entry complete this home along with two-car garage. Sarasota Bradenton International The official airport of Sarasota and Manatee counties Tampa International Airport Tampa International Airport is an award winning facility due to its unique architectural design and travel friendly functionality. Located minutes from both the Westshore and downtown business districts, the corporate traveler can enjoy easy accessibility to many desired destinations. Sarasota Opera House Sarasota Opera produces outstanding opera true to the vision of the composer to entertain, enrich, and educate our communities, as well as patrons from across the state and around the world. The Sarasota Opera is an internationally respected producer of the highest quality professional opera. It fosters artistic excellence, diversity, and vitality in the Sarasota area. Selby Art Gallery Distinguished as Sarasota’s premier gallery for contemporary visual arts, Ringling School’s Selby Gallery is a professional on-campus exhibition space that serves as both a center of learning and hub of extracurricular activity. The 3,000-square-foot Gallery presents major exhibitions by nationally and internationally celebrated artists, designers, illustrators and photographers from diverse cultural backgrounds and eras. Dali Museum the Salvador Dali Museum is the permanent home of the world’s most comprehensive collection of the renowned Spanish artist’s work. State College of Florida Manatee Sarasota Manatee Community College provides an accessible, dynamic learning environment that facilitates the achievement of educational, professional and personal goals by our students and members of our communities in an atmosphere that embraces academic excellence, diversity and innovation. New College Founded in 1960 as a private college for academically talented students, New College became a public college in 1975 through a merger with the State of Florida System which resulted in its affiliation with the University of South Florida. Today, as the state’s independent honors college, New College of Florida retains its distinctive academic program and high standards which make it a college of choice for students who can manage the freedom and responsibility of designing their own education. Ringling College of Art & Design Ringling College of Art and Design is a private, not-for-profit, fully accredited college offering the Bachelor of Fine Arts degree [BFA] in six disciplines: Computer Animation, Fine Arts, Graphic & Interactive Communication, Illustration, Interior Design, and Photography & Digital Imaging. Located on Florida’s Gulf Coast, the picturesque 35-acre campus now includes 69 buildings, and attracts more than 1,000 students from 46 states and 33 foreign countries. University of South Florida With 41,000 students from all 50 states and over 100 countries, USF awards more than 4,900 bachelor’s degrees and 1,900 master’s degrees annually on campuses in Tampa, St. Petersburg, Sarasota/Manatee and Lakeland. The University confers more than 150 doctorates in 31 fields, and more than 90 Doctor of Medicine degrees a year. In its short history, USF has awarded more than 200,000 degrees. All Children’s Hospital All Children’s Hospital, located in St. Petersburg, Florida is a regional referral center for children with some of the most challenging medical problems. More than 140 pediatric specialists and subspecialists keep All Children’s Hospital at the forefront of treatment, teaching and research. Sarasota Memorial Hospital Sarasota Memorial is proud to be a community-owned hospital. World-class radiology, technology and expertise in heart & vascular care, cancer care, stroke, orthopedics, neurosciences, outpatient care centers and women & children’s specialties draw the top physicians and the best and brightest caregivers. Lakewood Ranch Medical Center Lakewood Ranch Medical Center, the hospital centered on your care, opened September 1, 2004. LWRMC offers patient-focused medicine and is equipped with advanced technology. Located just two miles from I-75 and bridging Manatee and Sarasota counties, this new, 120-bed acute care hospital has an extensive system of fully-integrated inpatient and outpatient services that share a single purpose—to provide compassionate, quality patient care. Patients have access to a medical staff of over 300 physicians and allied health professionals with a comprehensive range of specialties who use technological advances in medicine. Mote Marine Aquarium The 135,000-gallon shark tank at Mote Marine Aquarium lets you view its inhabitants from above and below the water’s surface. Additional tanks show off sharks, rays, and other marine creatures native to the area. Adventure Island Adventure Island’s 30 acres of water-drenched fun in the sun features the ultimate combination of high-speed thrills and tropical, tranquil surroundings for guests of all ages. Within a soothing Key West atmosphere awaits an unrivaled blend of slides, corkscrews, waterfalls, a wave pool, children’s water playground and other family attractions such as outdoor cafes, picnic and sunbathing areas, gift shops, arcades and a championship white-sand volleyball complex. Sarasota Jungle Gardens Draped with exotic plants and native wildlife, the area’s only zoological park offers fun in a natural environment. Kids love the animal farm at the Kiddie Jungle, where they’ll also find a tree house, tiger swings and a jungle playground. Busch Gardens Busch Gardens is the ultimate family adventure park offering an array of fascinating attractions based on exotic encounters with the African continent. A unique blend of thrilling rides, one of the country’s premier zoos featuring more than 2,700 animals, live shows, restaurants, shops and games, Busch Gardens provides unrivaled “real” excitement for guests of every age. Premium Outlets With some of the most impressive brand name stores of any outlet center in the country, Premium Outlets at Ellenton is a must for shoppers seeking top quality at great prices. Plus, the Caribbean village-style architecture and tropical landscaping contribute to a great shopping experience. Tampa/St. Petersburg is 30 miles to the north and Sarasota is 20 miles south’s. Armand’s Circle Superb exclusive shops, galleries, exotic boutiques, sophisticated restaurants and nightlife all located on St. Armand’s Circle. Westfield Mall Acquired by Westfield in 2003, Westfield Southgate is the leading regional shopping center serving the Sarasota, Florida market region. It is anchored by Macy’s, Dillard’s and Saks Fifth Avenue, with 48 in-line mall shops and kiosks. The Rays at Tropicana Tropicana Field located in downtown St. Petersburg is proud to be the home of Major League Baseball’s Rays.Ed Smith Sport ComplexEd Smith Stadium opened in 1989 in time for the Chicago White Sox’ spring training, replacing old Payne Park. This 53-acre site maintains a national reputation as a premier baseball facility in the State of Florida and continues to be the mecca of baseball activity in the area. Now the Spring training home of the Baltimore Orioles since 1998 local residents and visitors from across the country and Canada have a chance to catch the action of their favorite teams and players in the relaxed atmosphere of beautiful Sarasota. The Tampa Bay Lightning at the St. Pete Times ForumIn additon to being the home of the 2004 Stanley Cup Champion Tampa Bay Lightning, the St. Pete Times Forum hosts more than 150 events annually, including concerts, family events, ice shows, the circus and indoor sports. Tampa Bay Buccaneers at Raymond James Stadium Each fall Raymond James comes to life as Tampa’s NFL team the Buccaneer’s come to play.